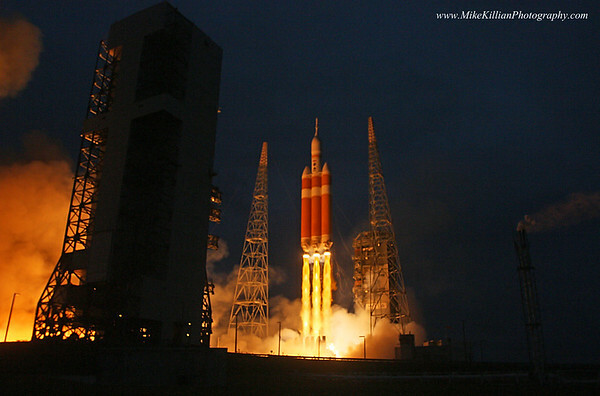 The launch of NASA’s deep space Orion crew capsule on its first orbital flight test, December 5, 2014. 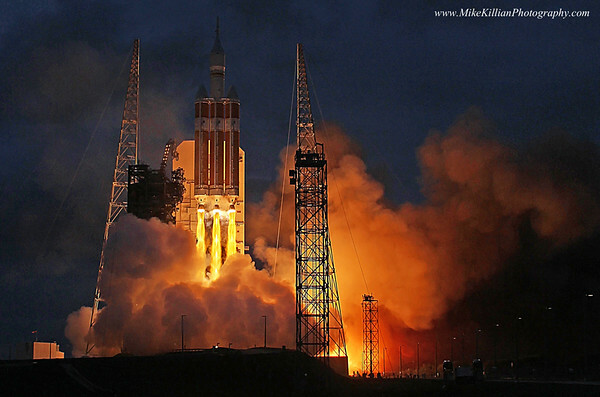 The spacecraft took towards space atop a mammoth United Launch Alliance Delta-IV Heavy rocket from Cape Canaveral, FL Space Launch Complex-37B. The mission, Exploration Flight Test-1 (EFT-1) put the unmanned Orion in action, orbiting the Earth twice & reaching an altitude of 3,600 miles – further than any crewed spacecraft has been since Apollo 17 – in order to position itself for a violent 20,000 mph re-entry that astronauts will experience on Orion’s deep-space missions in the coming decade. All images are copyright Mike Killian Photography, all rights reserved, unauthorized use is prohibited. Hi-Res images available for use upon request only.